A huge thanks to all who left a comment on our February Giveaway post . I had a great time reading them all. Random.org chose number 178 as our lucky winner this month and the lucky lady who left comment no 178 was SusieQ3. Congratulations Susie. Please would you mail your address to me at mycreativespirituk@gmail.com and I'll get your goodies in the post to you. Its been a while since I've got out my Copics and Molly Blooms stamps but had a really chillaxing time earlier this week getting creative molly blooms style with one of the Candy Box Crafts shadow boxes. I used the 6 1/2" one to showcase this country scene of Molly on a picnic. Once I'd chosen the papers I wanted to use, and the colours for the images all I had to do was a bit of colouring in. I'd forgotten how time flies when your colouring and how long it takes. There's over 35 elements in the picture some large and some tiny weeny like the cherries and strawbs! 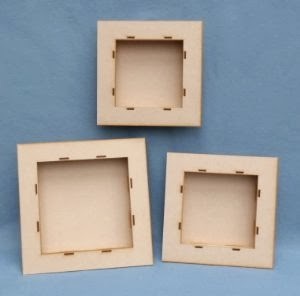 I started layering from the back of the box and used small chipboard squares stuck together in stacks to support each of the pieces, increasing the number used in each stack as I built up the scene. It was a great project to work on and one that would make a pretty picture for a little girls bedroom. I'm off to teach at the ‎ScR@P retreat at Ansty Hall this weekend and really looking forward to seeing all the ladies. Have a safe journey and see you all in the morning. Congratulations to Susie! What a fab shadow box today, so much detail it must have taken ages but was worth every second, gorgeous! Congratulations to Susie! A fabulous shadow box Clare and loving the gorgeous image and beautiful papers. Fabulous shadow box Clare - awesome!! love the images, the colouring - it obviously was a labour of love, but worth every hour!! Oh Clare this is a wonderful shadowbox and so different from what you usually create. I bet you have a fabulous time playing and creating. Love the cheery colors and of course the darling girl! wow this is gorgeous Clare so beautiful made. Great shadowbox, just gorgeous. Love the copic. Morning Clare, Congratulations to the very lucky SusieQ3. 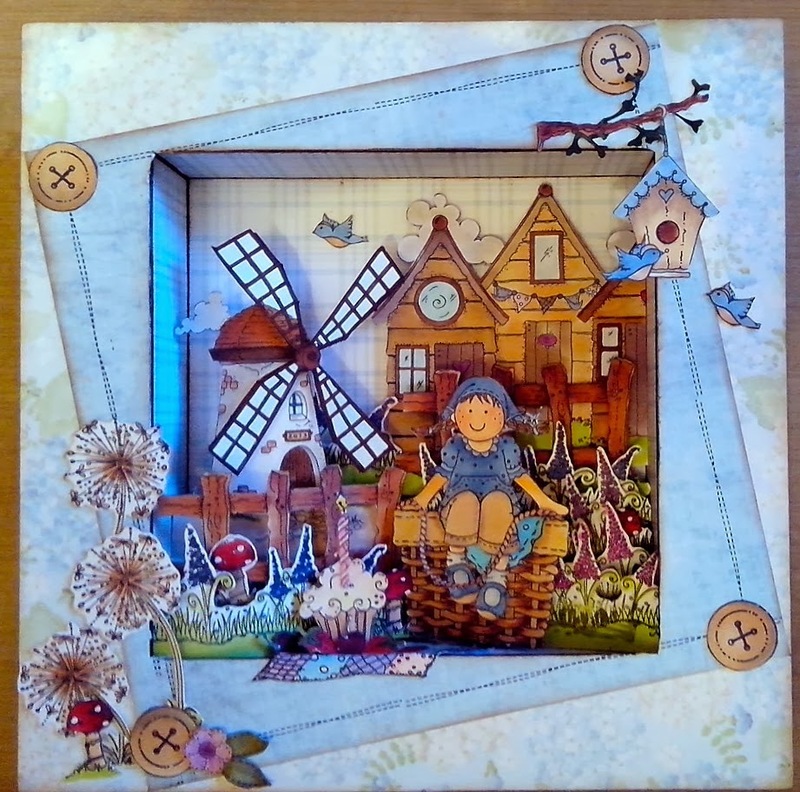 I love the scene that you have created with this shadow box and the gorgeous stamps and papers. I have a few shadow-type boxes, I'm going to have a go at something like this, you are such an inspiration. I love this. Hello - watched you on several videos. My heart just reacts when I watch creations that inspire me. Love the Shadow box . Will stay tuned for other wonderful ideas. Thanks !